Give Blood, Save A Life ! 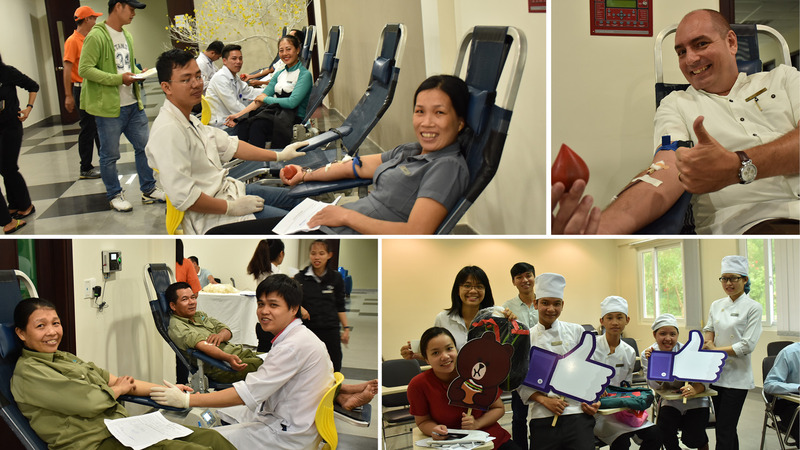 With the belief that “The gift of blood is the gift of life”, the Laguna Lăng Cô CSR team coordinated with the Hue Blood Transfusion Center to organise the annual Blood Donation Day which invited all guests and staff to join and share this valuable gift for people in need. From 2014 to 2018, 539 staff joined the blood donation days. ENGLISH IS FUN - to be an English teacher for local school children ! SEEDLINGS PROGRAM - Plant a seed - change a life ! LET'S TALK - Let's Talk Together! ELDERLY CARE - to bring a warmer day for the local elders!